The Mermaid Life: CARISHEA SHEA JOY GERANIUM AND LEMONGRASS REVIEW. 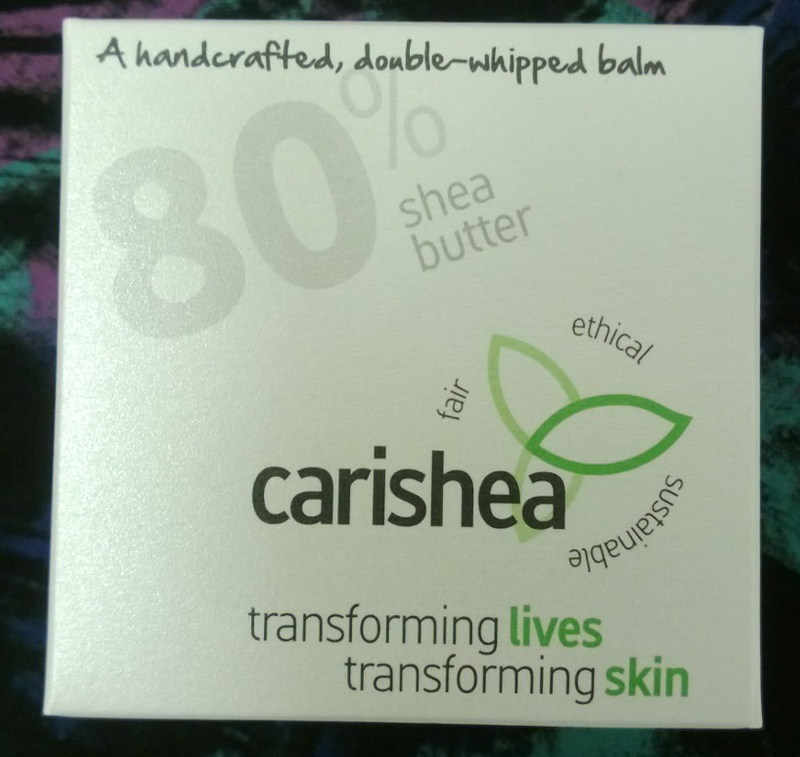 I was really excited to try this Carishea Body Balm in Geranium and Lemongrass when Semple and Semple were asking for a few bloggers to do a review for them. Because it was something I hadn't tried, I was intrigued. Semple and Semple are a chain of pharmacies based in Scotland with an online store which you can find here. I was so surprised with what they had to offer. Well known brands that we all know and love such as OPI, Avene, Elizabeth Arden, Burt's Bees and many more, all at competitive and great prices. I've spoken to them on Twitter a few times now, and they are so lovely. They're a joy to talk to and treat all fellow bloggers with the same respect - A brilliant trait for any stores. 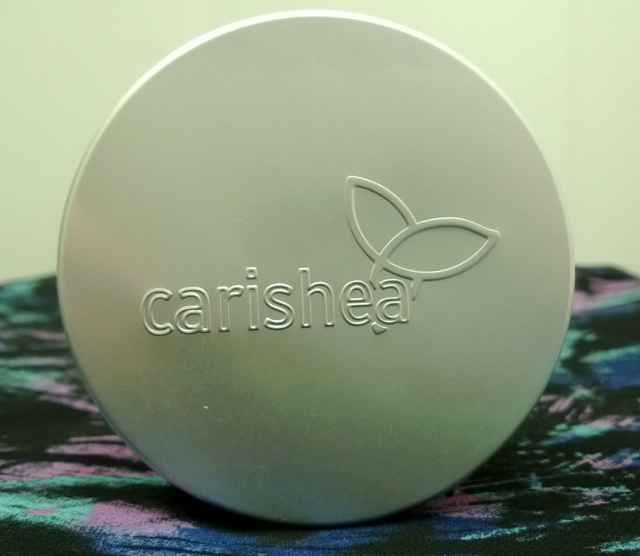 Another brand they stock on their online store is Carishea. What I love about Carishea is that it's a local brand - Based in Scotland - which create amazing products which are fair trade, ethical and also provide jobs for more disadvantaged people. I think that this is amazing, and that Carishea deserves a lot more recognition. I also emailed them with a question around 9pm and they replied within 20 minutes, which is great as some brands take a while to reply. 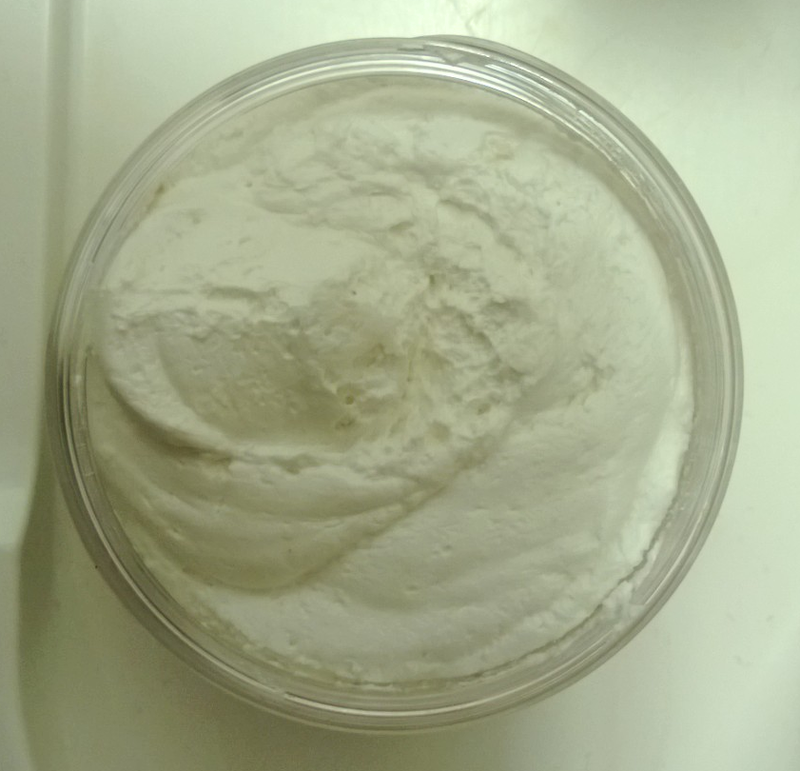 Have you ever read the ingredients on your body lotion and understand everything that's in it? I certainly haven't. I love that when I read the ingredients it stats clearly what's in it, other than its 80% shea butter it has hazelnut, avocado, rice bran, geranium, lemongrass, patchouli and added citrus oils. That is it. Below that it also says in bold that there are no parabens, SLS or other preservatives. Perfect. Not only is the product good, it's doing good, and you're feeling good! The packing to me is also another great factor of this product. It's simple. The box has a lovely recycled paper feel and look, with attractive labeling and design which is straight to the point. The pot looks lovely too, and looks like a handmade product - which it is - and I really like that it has personality. Also, this little pot of goodness is so light in my hands. I could not believe it - perfect for travel. When I opened it up I noticed how fresh it smelt. 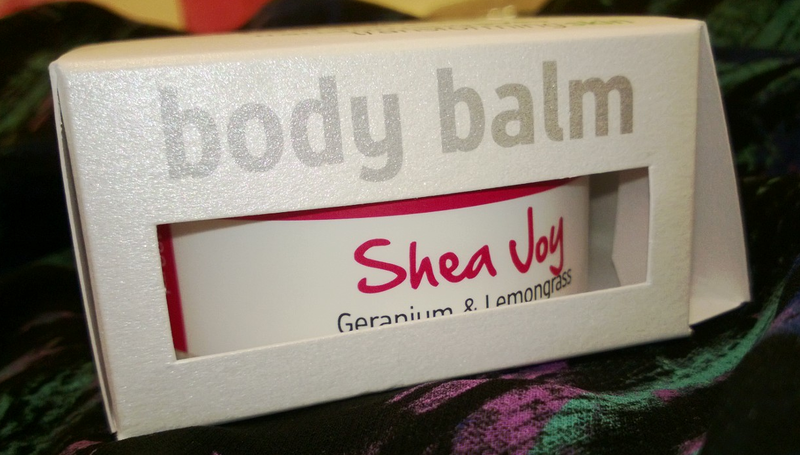 It smelt like a summer garden with just the right amount of lemongrass and floral scents. The consistency is almost like a thick mouse. When I applied it to my skin - You don't need a lot, a little goes a long way - it literally melts into a oil on my skin. It is a dream to apply. It doesn't hang around long either, or is greasy, and gets absorbed by your skin and leaves a lovely subtle and delicate fresh fragrance. I've been using it a week now and I feel my skin is smoother. I've not had any dry ares appear and my dry areas are fading nicely, which is a joy as I have very dry skin. I have also started using this on my face because I just love the way it makes my face look. I can not praise this enough. I've used it every morning and every night since I received it and not touched another product - and it still looks as if it hasn't been used! Over all, I am in love and I will be repurchasing straight after I'm out. Get this lovely little pot of goodness now, from Semple and Semple. 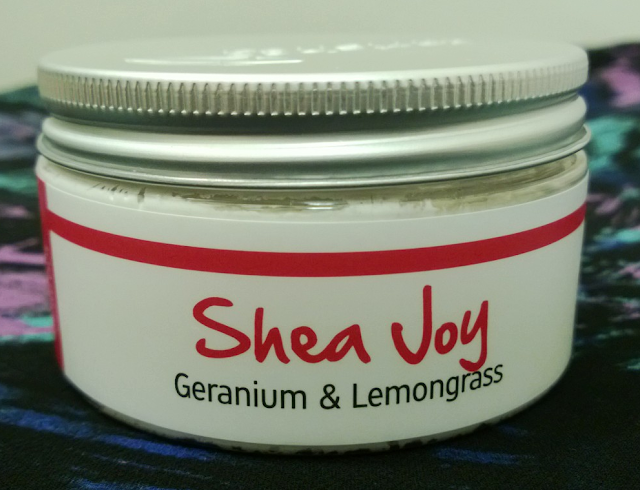 Not only do Carishea do Body Balms, they do a wide range of other body products too. Find out more about the amazing and inspiring Carishea here. You can get your pot for £7* for 100mls here. You can also choice from two other scents Ylang Ylang and Cinnamon or Lemon Eucalyptus, Eucalyptus and Rosemary Essential Oils. Would you like to see more fair trade products out there? This really does sound lovely - always good to see new products with short and easy to read ingredients lists too. Will definitely be checking them out. Natural products are the best! I love how smooth products like this make your skin feel. I agree - Natural products for the win! :) There are some great natural products out there, this being high on that list!